The holidays are approaching fast and many of you have family and friends coming in from out of town. 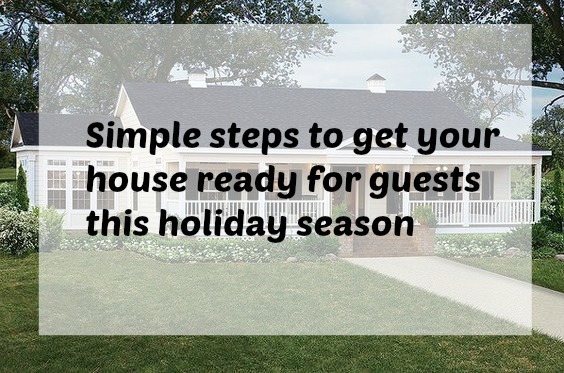 I'm going to show you some simple ways to get your house ready for guests this holiday season. After all, we're all so busy this time of year why add more stress. Let's keep the holidays fun, not stressful. 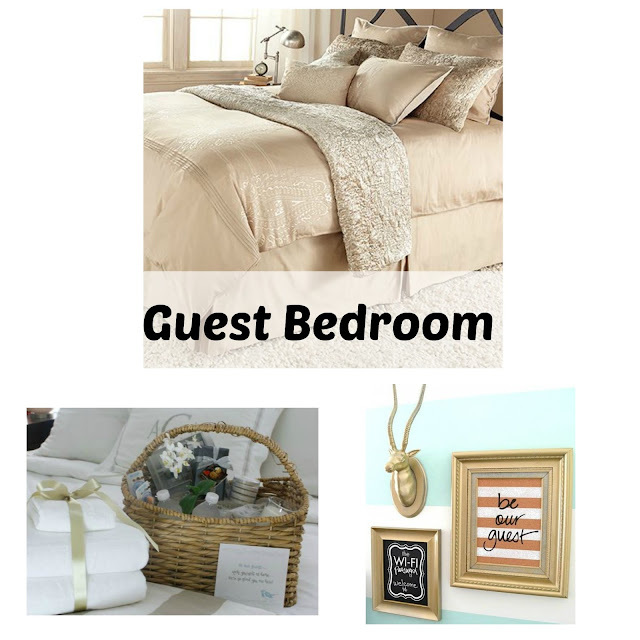 I chose 3 main rooms to help get you ready for guests. The living room, kitchen and guest room. The living room has to be one of the easiest rooms to get ready for holiday guests. 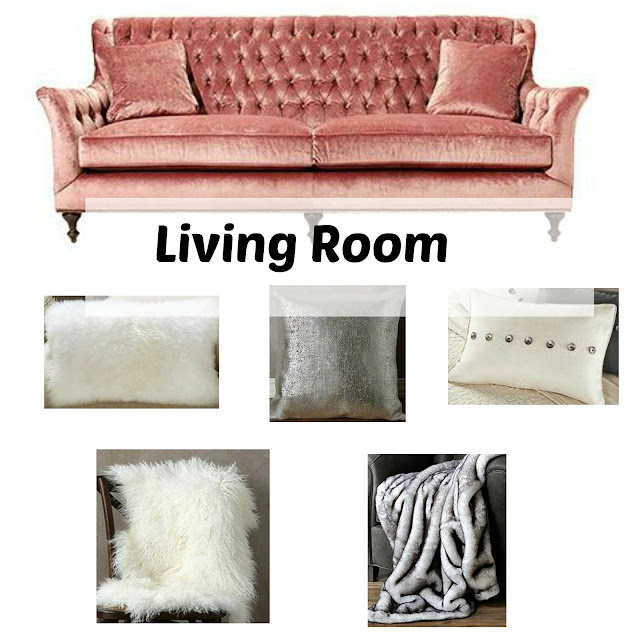 Just add some comfy festive pillows in great textures like fur, metallic and fun jingle bells. Then add a throw in case your guests get a little chilly. That guest would be me. This fabulously fun pink couch, pillows and throws can be found at Arhaus. The holidays mean guests will be stopping by a lot so be sure your kitchen is stocked and ready for them. Keep cheeses, meats, olives, nuts and crackers on hand to easily whip up a cheese and charcuterie platter. I also like to keep wine, limoncello and non-alcoholic drinks at the ready. These are not only great for guests that stop by but make great hostess gifts for those last minute party invites. I don't have a spare room for guests to stay in. We turned our guest room into a gym. But if you do, add some extra blankets and pillows to the bed. 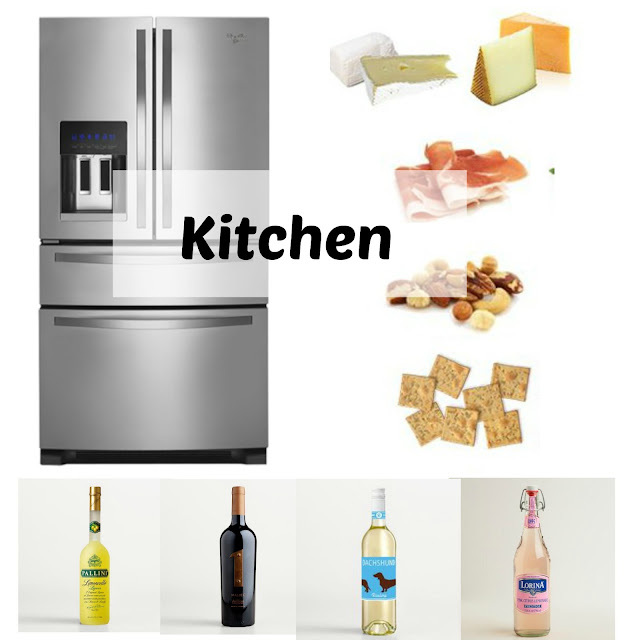 Extra touches like having a basket or tray filled with toiletries, bottled water, magazines, and an alarm clock help your guests feel more at home. Place some fluffy towels on the bed so guests don't have to ask you for them and as a nice bonus you could provide your wifi password in a cute frame. I'd love to hear how you're getting your house ready for guests this holiday season. We have hosted our moms for Thanksgiving the last few years which means we turn the craft room/office into an 2nd guest room. We got a tall inflatable mattress so we can store it away when we don't need it, but I went ahead and made "real" bedclothes for it. A duvet and matching pillow shams with coordinating sheets. Even a throw pillow so it looks like a "real" bed. Then I set up a bedside light and small "nightstand" by clearing off part of the bookshelf next to the bed. I love how you made an inflatable mattress more real bed like and added the "nightstand" to make it cozy and guest roomy. I bet the mom's really appreciated it. Hi Tiffany, I enjoyed your holiday decorrect post. Where did you find the buffalo plaid banner? Which buffalo plaid banner is that?